My view is to use what the OEM specced there or close, the original equipment maker will match your heat range far better than any other brand commonly does, they often put plugs in halfway between OEM heat ranges. People suckering to 'gimmick' plugs are why all plugs are so high now and ridiculous. 1 of my the Spark Plugs were Fouled. My car wasn't performing right and the RPM's kept dipping. 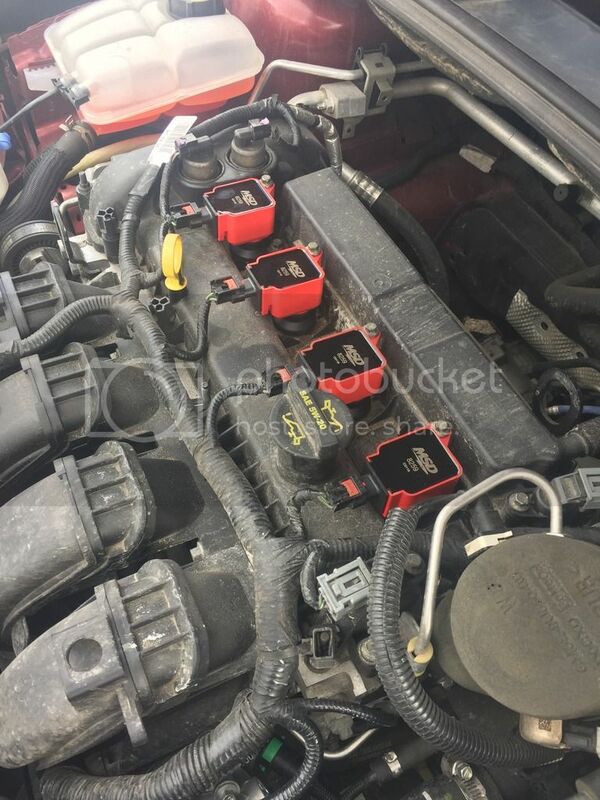 I ordered OEM Spark Plugs and decided to do the Spark Plugs along with replacing the res. tank. Was working great but wanted to dress up the engine bay so I ordered the MSD 82594. Honestly there's 0 difference. Maybe it will help in the long run when i go turbo'd and can add more spark, but don't be fooled into buying something like this other then OEM. Should've just took some Engine Enamel paint and painted the top of the coil. rednek17 and Furadi like this. See I want to order those specifically to dress up the engine bay lol. No reason to not stick with Motorcraft plugs on these cars. $30/set and mine came correctly gapped.